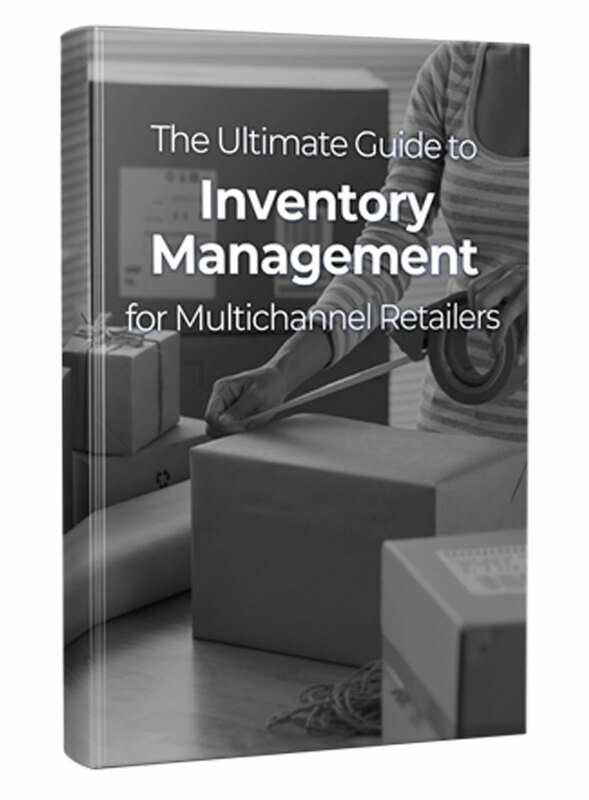 Most people find out they need an inventory management tool – after something bad happens. It’s usually an overselling situation, some other kind of stock-out issue, or trouble keeping things organized. Either way, it’s usually a stressful situation. Even more annoying, can be the task of weeding through the myriad of software tools to find the right one for your business, at a price that makes sense for you, and with all the bells and whistles you need. It takes work to find the right tool, but it’s necessary. Having the perfect online inventory management software can increase sales and help you grow and scale competitively. In the past year, ecomdash customers have been able to grow revenue by 23% quarter over quarter, and at least 24% of our customers have added at least one new sales channel to their business repertoire. So while picking a tool can be overwhelming, it is well worth your time! Don’t stress though – we’ve created a checklist to help you decide which software will work best for you. What do you want from an inventory management software? Add more sales channels safely, without overwhelming yourself? Do you need to control overselling and underselling? Do you want to expand your market by adding a new product line? Do you need to automate manual tasks? Pick 3 to 5 goals main you want the software to be able to accomplish for you and prioritize them. Next take a look at the issues you are currently struggling with. Do any of these sound familiar? Your customer base has grown beyond what you can handle on your own, and you’re having a hard time keeping a watchful eye on all moving stock. You’ve suffered a few stock-outs and your reputation as a professional seller could be at stake. You want to grow your business, but you don’t have enough hands to manage all channels, and you can’t afford to pay a part-time employee to help you. Whatever it is that’s plaguing your business, look for software that can solve these issues specifically. The best option for you may not be the one with the most integrations or coolest sales pitch – but it could be the perfect option to save you from unnecessary growing pains. Now that you have a general idea of what you want to accomplish and what you’d like to fix, start writing down your absolute, non-negotiable must haves. Think of this as your wish list to Santa, without the whole ‘naughty or nice’ stipulation. Software Santa doesn’t see you when you’re sleeping, he’s too busy automating your data transfers. Here are the questions to ask of yourself and your software option. 1. Do you want a single channel, multichannel or omnichannel tool? If you’re happy selling on one site, and have no plans to add sales channels, single channel is for you. If you sell on one or more channels now, and either want to add further channels or are having a hard time juggling all of your marketplaces and websites now, look for multichannel options. If you are a multichannel seller with a brick-and-mortar location, or wish to add a brick-and-mortar location (even if it’s for a set period of time, like with a pop-up shop), start looking for omnichannel software options. 2. How do you want to access your software? Desktop based software: Some feel safer with their own information stored on their own computers’ hard-drives, but it can be completely lost if your computer crashes or you are having computer issues and only have the software installed on that one computer. You will have to install updates to the software on your own time…and sometimes at your own expense. Your data safety is only as good as your own anti-virus software. Cloud based software: Can be accessed from any laptop, phone or tablet with an internet connection, and will likely perform and install updates automatically, without an initiation from you. There are some risks involved with any could storage, however. Check with potential inventory software providers to see how they handle security and back up their data. What’s their up-time? 3. What are the top 3-5 integrations you need? Some tools will have more integrations than the ones you specifically require – this is good. A diverse list of integration partners will give you options for how you’d like to further grow your market and revenue in the future. If you’d like help deciding which marketplaces will best suit your business, read some of our posts comparing the major online shopping marketplaces. 4. What other functionality would you like? Do you need shipping management built in, so that it’s an all-in-one solution for you? Would a product listing tool be beneficial? Do you need an easy and automated way to communicate with your warehouses and suppliers? Think about what would make running your business (and your life!) that much easier – there could be a tool made especially for the way you do business. 5. How do you want to pay? In an ideal world, how would you prefer to pay for your inventory management software? Would you rather pay monthly, quarterly or annually? Are you on board with a long-term contract, if it looks like the perfect fit? Are you cool with sharing your profits if it cuts down on the monthly price? Compare each billing structure against your needs and the benefits of the tool. Try to get as close to apples-to-apples as you can. Not everyone is happy with another vendor taking a skim off the margin, but if it’s a knock-out tool for you otherwise, that may be a compromise you’re willing to make. Last but not least, know what are you willing to pay and what your are not. In many cases, the most robust tools will be priced accordingly. There are, however, many fantastic tools (eh-hem, like ecomdash) for small and mid-sized businesses that are priced with smaller budgets in mind, and offer the same or similar functionality of some larger, enterprise players. Pick a price range that works for you, and be willing to test the value of this kind of software. What is a 23% increase in sales per quarter actually worth to you? Know your costs and margins – sometimes you need to invest to grow past certain plateaus. With this list in mind, you’ll have a pretty good idea of what you need. 7. Start searching for options. Check out ecommerce review sites like WebRetailer, Ecommercebytes, Software Advice and Internet Retailer. Read the descriptions in these directories, and cross-reference which tools look good to you by reading their reviews. When you have found 2 or 3 that look really good to you, ask your peers by posting in Amazon or eBay forums. WebRetailer and Ecommercebytes also have their own forum, and Warrior Forum is another great resource with many knowledgeable users. When you feel confident in your “short list” of 2 to 3 tools you like, it’s time to start talking to these software providers. Begin asking detailed questions, watch demos and sign up for free trials. Be sure to prepare and research before your busy season – whether that’s during the holidays, or another time. Free trials are essentially your chance to ‘interview’ each tool, so be sure to ask any and all questions you may have. If you run into an issue, reach out to support, and take note on how long it takes them to respond. Should an issue occur, you’ll want to have a support team who genuinely cares about your success and responds in a timely manner. Or, best case scenario, everything works seamlessly, and you won’t have to contact support at all! For your convenience, we created this simple chart that you can print and fill out (simply click on the image, and it will be opened in a new tab). We hope this helps you narrow down the many inventory management options to find the perfect tool for you. Through our customers’ own success, we’ve seen how inventory management systems can help you kick your business into high gear.